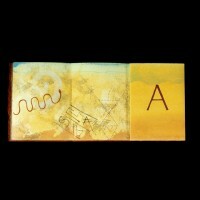 Each accordion book is 5 1/8 x 3 3/4 x 3/8 in. 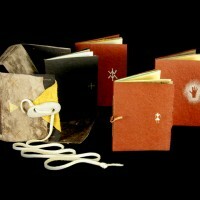 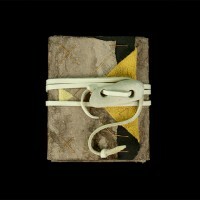 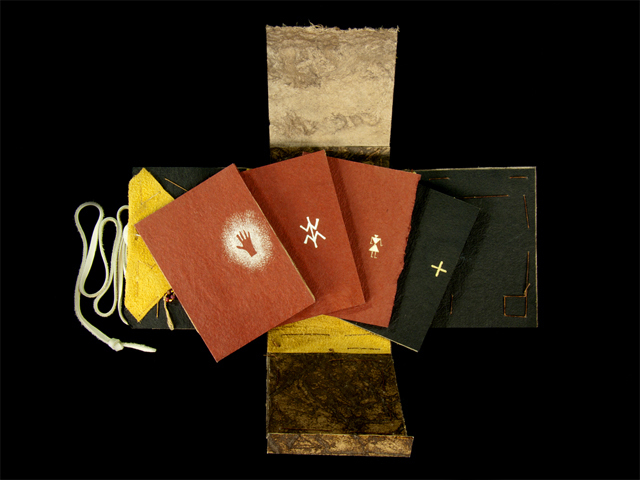 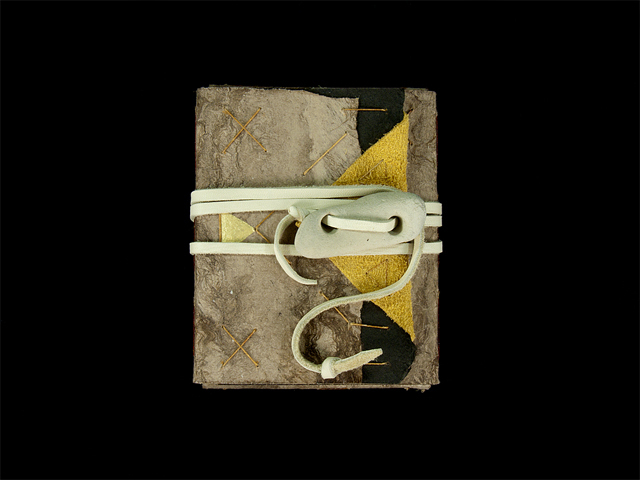 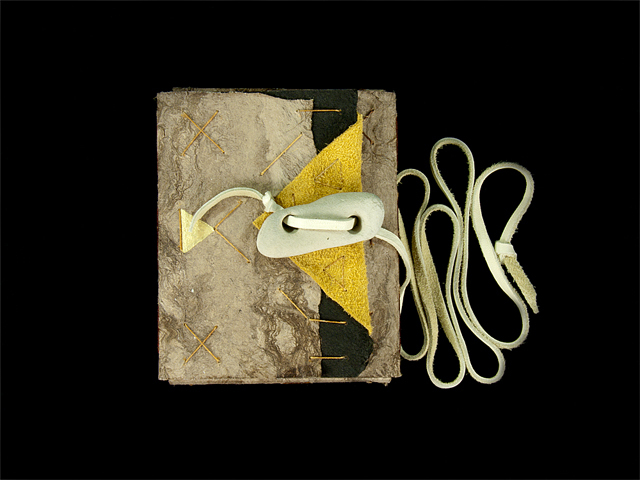 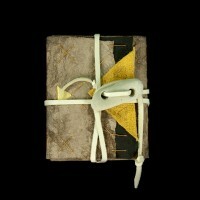 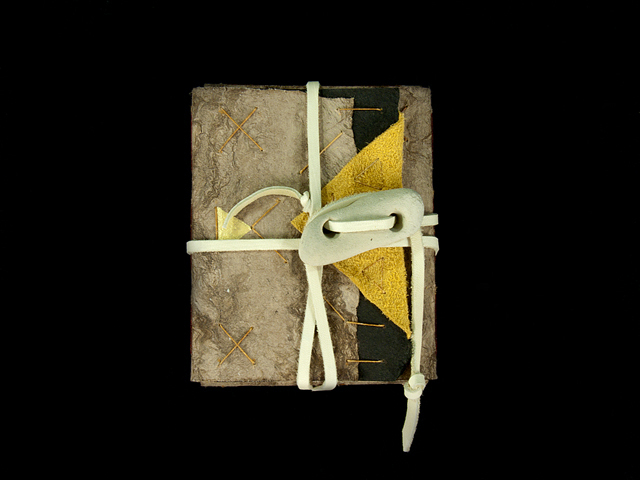 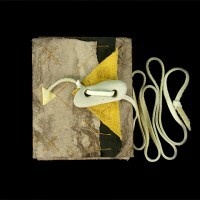 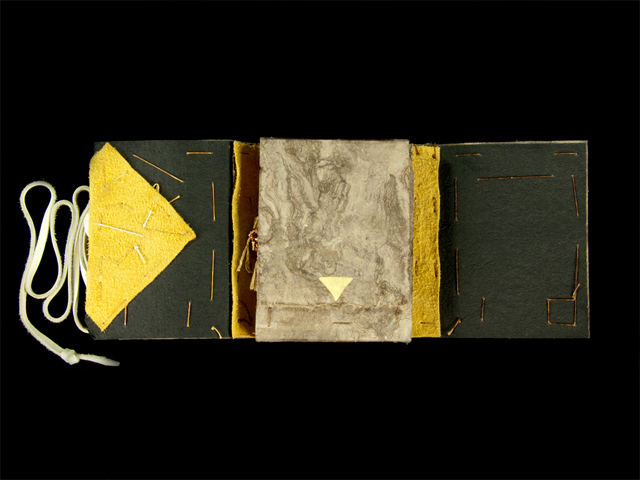 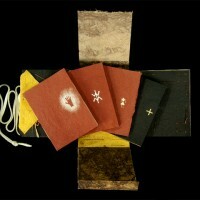 Three small handpainted picture books of letters and symbols, and a fourth with a printed essay, are housed in a wraparound case made of Mexican bark paper lined with deerskin suede and tied with a leather thong and a rock. 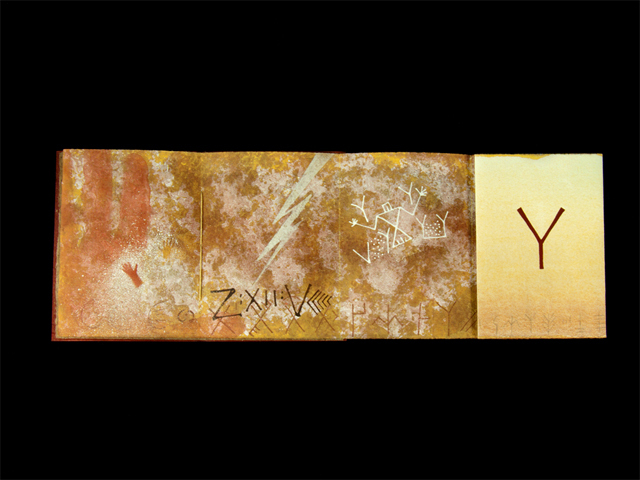 Arches Text Wove paper was painted with casein, a milk-based paint with roots in antiquity, the protein in the milk acting as a binder on the powdered pigments, thus evoking the soft, crumbling nature of cave walls. 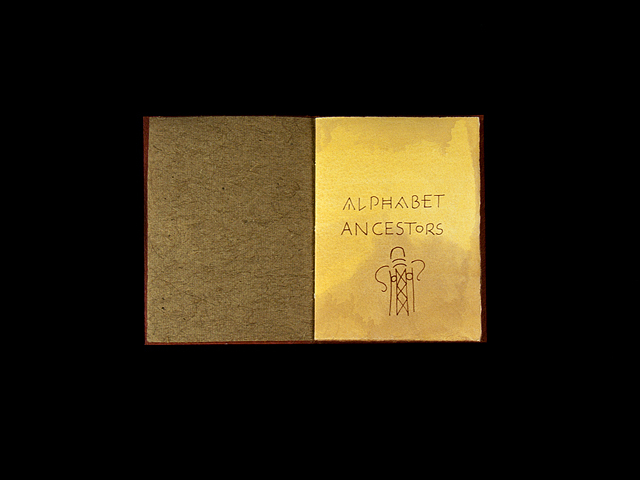 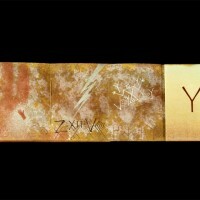 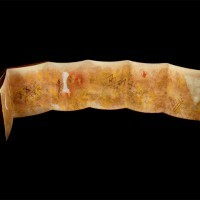 All ancient marks and modern letters are hand drawn and painted in acrylic and gouache. 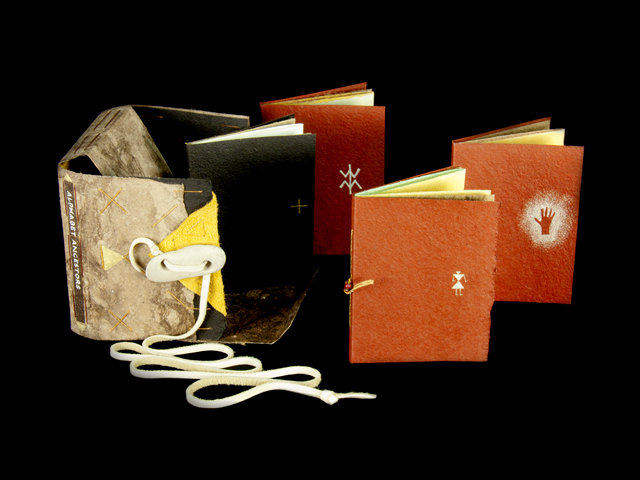 Accordion pages are sewn into a Cave paper cover at the top fold, and unfolds in a circular manner. 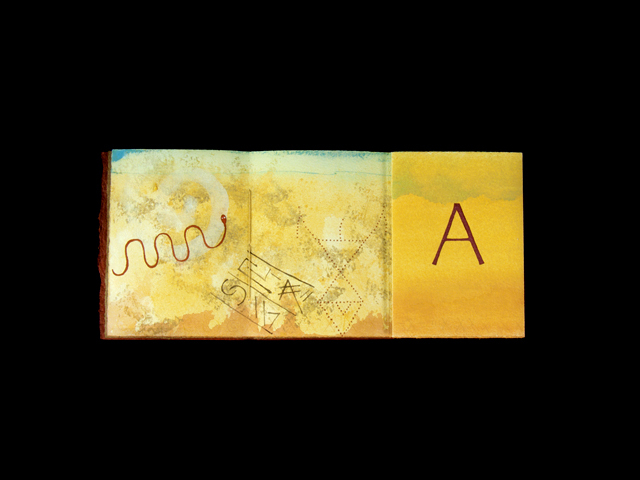 Each cover decorated with a different figure or sign, as is each title page illustrated differently, all taken from ancient art. 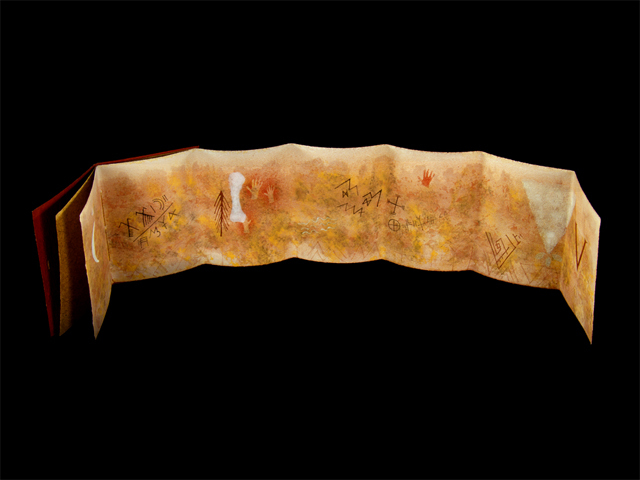 Each book shows six different Roman majuscule letters on the recto side as the page is unfolded, each letter similar in some way to the archaic mark next to it on the expanding “cave wall” which presents a series of ancient marks. 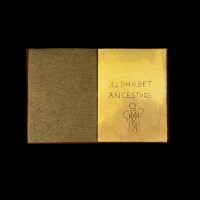 Only 18 of our 26 Latin letters are represented, chosen only for their visual similarity to the ancient marks. 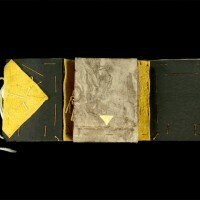 All three books can be unfolded together to make a great circular cave, as if looking into the deep well of the past.